Scented Metal Pomanders - A beautiful scented decoration which can be hung or placed around your home to add a delicate and creative touch of fragrance. Includes Fresh linen, light, airy and delightfully fresh. 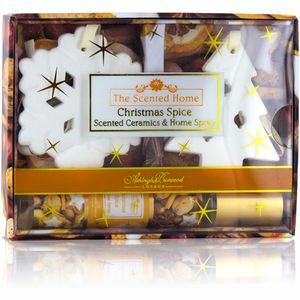 The uplifting fragrance evokes the scent of crisp white sheets billowing in a light breeze. Subtle notes of aloe, frangipani, lavender and citrus. Jojoba & Passion Flower, originating from deep within the tropical rain forests, the passionflower with its calming properties. A fabulous floral fragrance subtly blended with gentle jojoba create a serene and timeless scent.